ACLED tracks volatility and change in disorder through the ‘Conflict Pulse’. 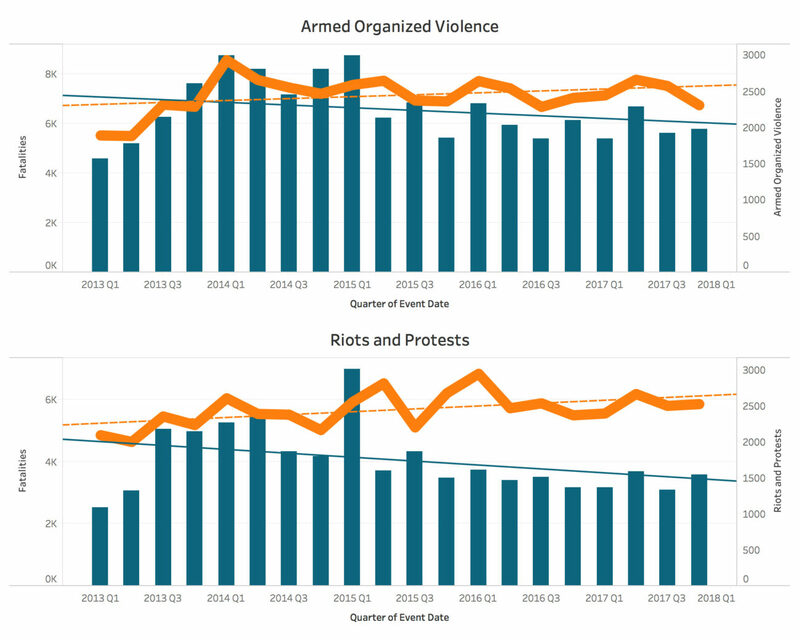 Across Africa, the past five years display a remarkably consistent event count in both armed organized violence and rioting and protests. However, the occurrence of both forms of disorder are increasing, while reported fatalities display a decrease.